Starting a business is the first steps to be an entrepreneur. 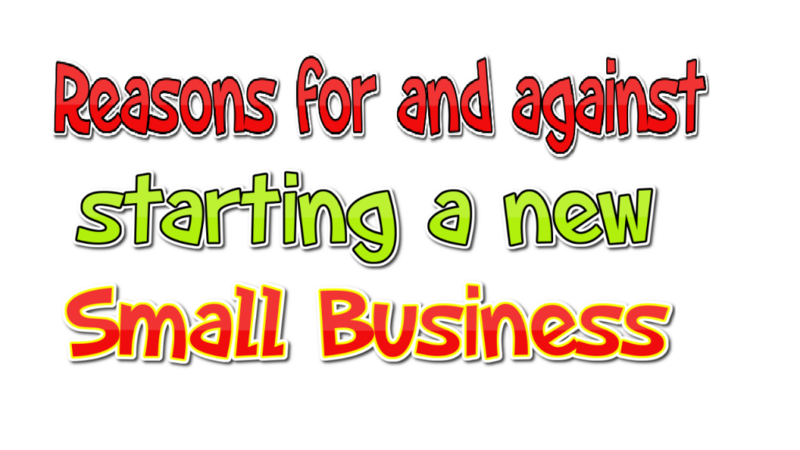 Here is the most important reason for starting and reasons against starting a business. One who starts a business can promote, design, organize, direct, and run the same as he desires it be. But there are risks of failure because of wrong selections of activity, site, ideas, strategy and the like. Presented hereunder some reasons for and against starting a business from the scratch. Freedom to plan the small business as the owner desires. Can create the type of physical facilities as per the preference of the owner. Select the strategic to overcome competitive environment. Can make impressions and goodwill. Need not carry any past odds and liabilities. Can recruit skill and professionally oriented office staffs. You are completely free and there is no one who will disturb you on your lifestyle. You can select right market and clientele. It is freely design preferred management information system. Starting a small business can procure fresh inventory at a competing price. As an entrepreneur, you can take advantage of the latest technology in selecting equipment. Here are the reasons against starting a business. The risk of unproven operations. May suffer from improper or inadequate planning. The difficulty of building contact with suppliers, clients, bankers, etc. No past knowledge of the reactions of the competitors. Problems in establishing the basic accounting and controls. Production problem associated with the startup of the new business. There may be a lack of an established market and channels of distribution. That was the reason and against for starting a business. Therefore, there is no way to make big money without business. You have to accept the challenge, and show yourself in the crowd of the world. Who are in the top of the world richest club, they all doing business. In the last, there no another ways to make a car, luxury homes, expensive lifestyles without business. So, this is the time to start your own business in that sector that you like most.